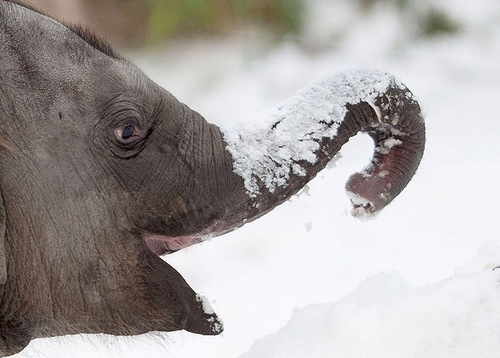 Not often you can see elephants playing in the snow. 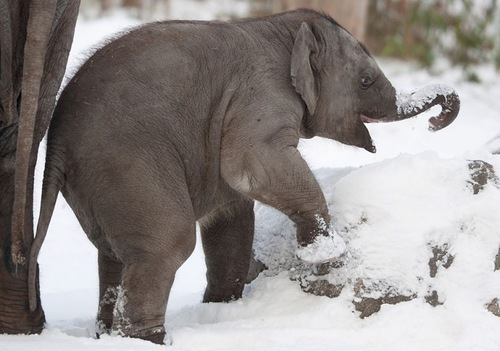 But the exotic inhabitants of the Berlin Zoo have to adapt to the strongest snowfalls in Germany. 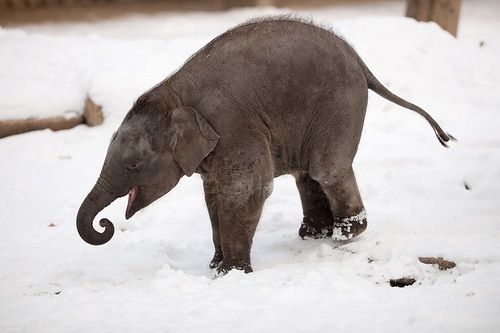 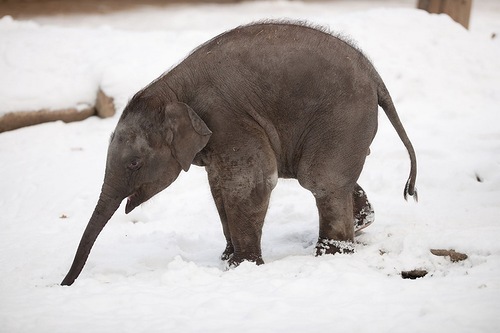 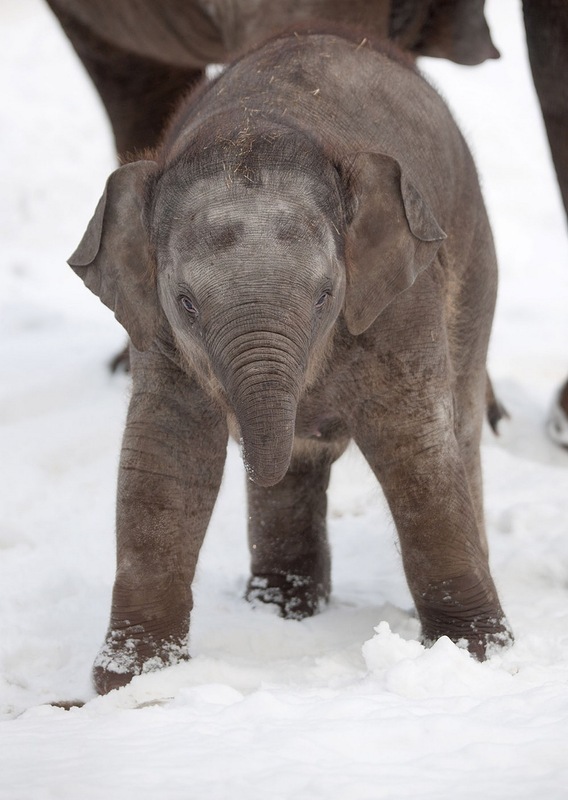 Surprisingly, but the little elephant took the snow — first in his life – with great delight! 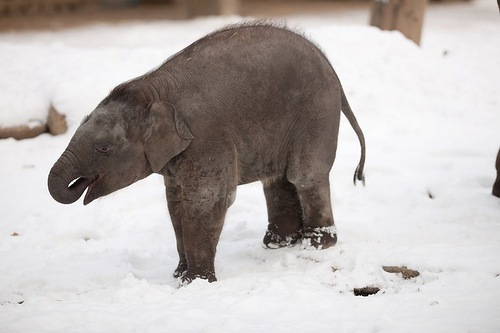 The baby animal ran, played, threw, ate lumps of snow. 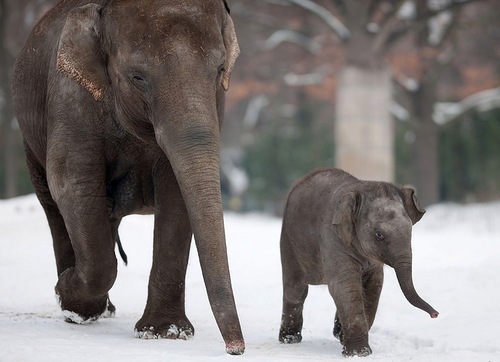 The pictures taken December 2012, Berlin Zoo.